Suad Šehić, together with his wife Halida, sister Šida and two daughters Emina and Jasmina, is a beneficiary of an apartment in the residential building recently constructed in the town of Zenica under the Sub-project BiH3 within the Regional Housing Programme. Suad is an exiled person from Srebrenica who fled to Zenica in 1995. His refugee story began in that very 1995 when, for days, he walked through the woods in order to reach Zenica. His wife Halida also managed to flee from Srebrenica in a convoy. They reunited in Zenica and continued their lives as refugees. 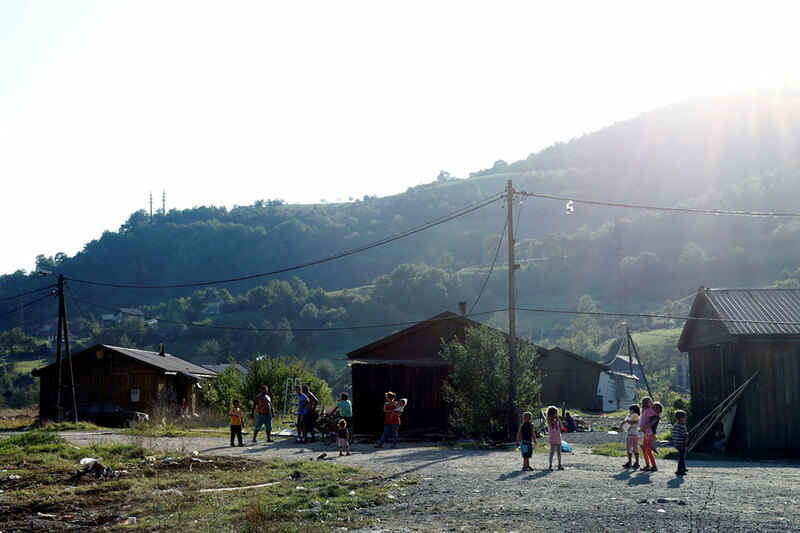 Suad says they first lived in a dilapidated house in one of Zenica’s suburbs where they spent seven years. In the meantime, they had two children and in 2002, the municipality relocated them to a collective refugee centre in the vicinity of Zenica. They lived there in wooden huts where they shared rooms with other refugees and socially vulnerable families. In the collective centre, they used to live without running water, in completely inhumane conditions. The family says that their housing situation at that time is incomparable to the new accommodation provided thanks to the Regional Housing Programme. Currently, Suad makes a living by doing occasional hard manual jobs, which is insufficient to cover the basic needs of his family. Suad and Halida say that as they have no permanent jobs, they are registered in the Employment Office of Zenica. Their elder daughter Emina graduated from the secondary school and is looking for a job, while the younger one, Jasmina, is still in school. Halida thinks that they could use assistance from the local community in finding long-term jobs. Despite their difficult financial circumstances, Suad says: “When we moved into our new apartment, it was as if I was reborn“. Their younger daughter Jasmina is very happy in their new apartment, which is close to the town center and her school. She is happy to do the household chores and proudly presents the new apartment to friends. In September 2018, after years spent in the dilapidated and damp accommodation in the refugee camp, the Šehić family finally became the beneficiaries of a new apartment in Zenica, which Suad describes as „couldn’t be any better“.